Kerching Casino has come a long way in the online gaming industry after being established in 2007. This Nektan casino has won the hearts of millions of players all around the globe since then and, recently, it has also reached a new milestone. It made its first ever millionaire by giving a huge jackpot amount of £1,413,800.62 to one of its Irish players. The jackpot was hit on Mega Jackpots Isle O’Plenty developed by IGT. This jackpot slot is known for its generous giveaway and has already awarded 6 jackpots to the players last year with this one being the 43rd jackpot since it came online. However, this was the first jackpot win for the Irish players Jordan who turned into a millionaire overnight. When asked, how he felt about this big win he exclaimed, “I’m absolutely thrilled to have won the Mega Jackpots with Kerching! … Sometimes I’d see how much the jackpot was and think, ‘Wow, imagine winning that. Somebody will.’ And now that somebody is me! It’s literally a dream come true”. Founded in 2007, Kerching casino is a Nektan powered casino which offers hundreds of games to the players to try their hands on. These games come from some of the leading online gaming software brands like NetEnt, Big Time Gaming and IGT. Needless to say, these games are packed with a number of chances to win. While the Irish player got lucky with the jackpot slot game MegaJackpots Isle O’Plenty games, you could be the next lucky player. And even if you think you are not lucky enough to hit one of these massive jackpots, don't be disheartened, you will also be given plenty of chances to win with the bonuses that it has to offer. Read below to find out more about the various bonuses that you can claim at Kerching casino. 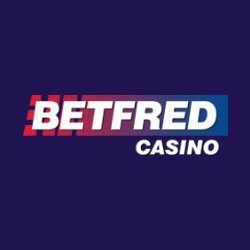 Third deposit with 50% match bonus up to £300 in bonus funds & 25 spins. This online casino also knows that loyalty is royalty and thus rewards all the existing players with its VIP Club. Keep playing at this casino and once you become a VIP player, you get to enjoy some special perks like Birthday Bonuses, Anniversary bonuses exclusive VIP promotions and a lot more. 06 October 2017 Microgaming's Mega Moolah makes another millionaire overnight! 25 April 2018 Mega Moolah Delivers Two Consecutive Jackpots within 48 hours!